Take courses with and learn how to start up a marijuana business and network with others in the group. Want to start a cannabis business? California Marijuana College offers comprehensive training seminars and workshops covering all important topics: How to start and operate state compliant marijuana businesses, filling out marijuana business applications, marijuana business management, seed-to-sale traceability software, how to make money, all requirements for cannabis retail business, marijuana cultivation & processing operations, types of different entities, dealing with landlords and landlord education, insurance, banking issues, security requirements, taxes & accounting, investors, 280E IRC tax issues, how to run a successful marijuana business and increase your chances of success. I recently attending a 420 college seminar in San Diego, California. I felt satisfied with the information that I left with. The medical marijuana laws are constantly changing due to new legislature, for the good or the bad. You can also continue to attend and take advantage of the news for free. What's so bad about it, I don't see you trying to inform the community. 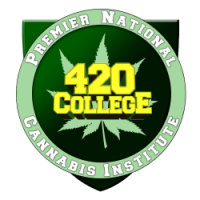 420 College provides EXCELLENT and HIGHLY USEFUL PRACTICAL INFORMATION for anyone who is interested in starting and PROPERLY and RESPONSIBLY operating a business within the medical marijuana industry. I recently attended the Two-Day Seminar presented in Pasadena CA. I was originally concerned whether the money I paid for the Two-Day Seminar would be worth it. I should NOT have been concerned as the Seminar was VERY HELPFUL and well worth the money. 420college is defiantly the best school/seminar to attend if you want to know how to own and or operate a successful Medical Marijuana Collective. George and his lawyer answered all my questions. Questions like 1) how to start a delivery collective? 2) how to start a store front collective? 3) what to do to prevent from getting shut down by the cops? etc. etc. I feel so much more comfortable venturing out in this field now that I know the legalities and logistics on how the business needs to be run to be compliant with state laws. 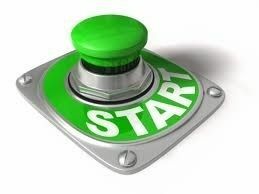 Do it - it's absolutely worth it! It was very helpful in getting my feet in the door since I knew nothing of the industry. And with the state of California non-profit paperwork I got from 420 College, I was able to start my private collective here in Redding.